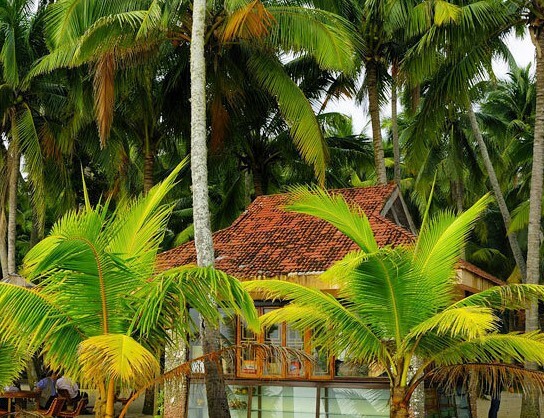 Dongjiao Coconut Forest sits on the east outskirt of Wangchang city, Hainan Province. 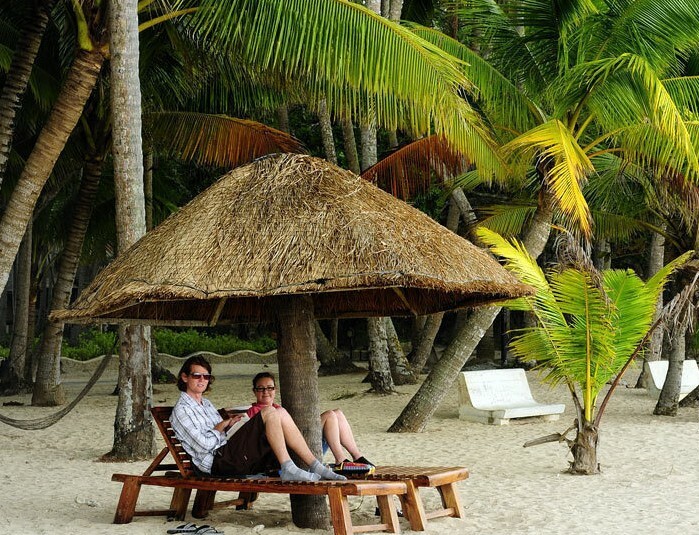 It is a famous place to enjoy seafood under coconut trees on sunny silver beach by calm sea bay. 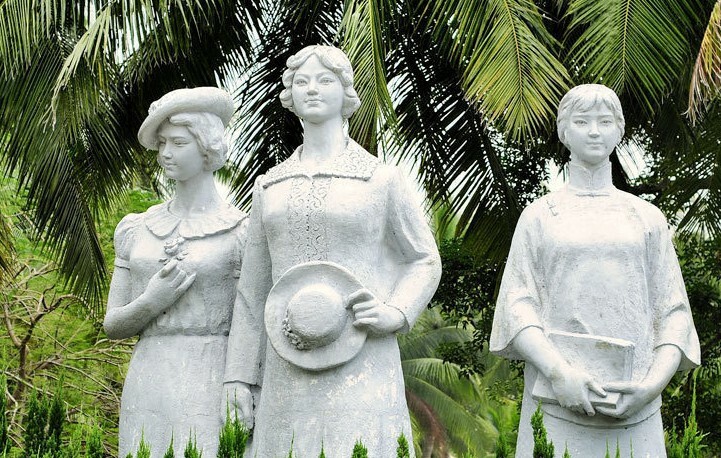 Dongjiao Coconut Forest is praised by such a local saying, "Wenchang produces half of the coconuts in Hainan while Dongjiao produces half of the coconuts in Wenchang." 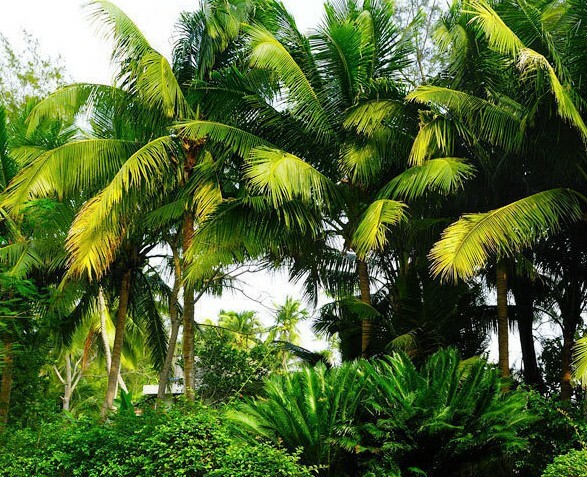 Over 500,000 coconut trees of many different varieties grow in Dongjiao. 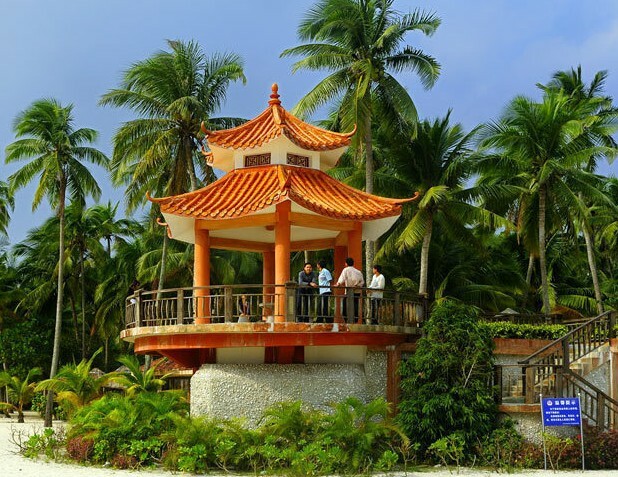 With a thick cover of flourishing trees, it offers a natural sea sight, a tropical beach resort for swimming, diving and more typical seawater programs on the east coast of Hainan Island. In the harvest season, local people are pround to offer coconuts with distinctive taste. What’s more interesting, they can climb up the very tall coconut trees fast to pick like a monkey without any tool. That is just a nice show during the harvesting of coconuts. This tourist attraction has first-class facilities. At restaurants, visitors can taste freely varous tropical seafood such as lobsters, prawns, rockfishes, abalones and more. 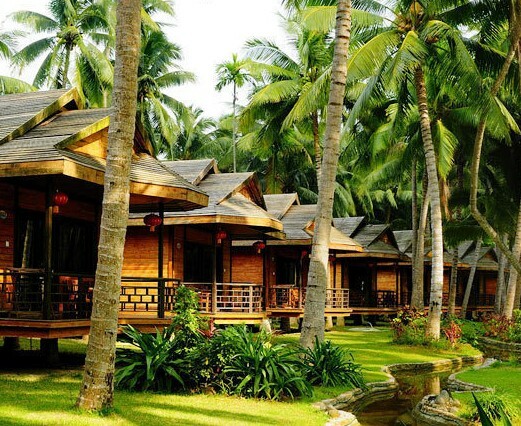 The charm of Dongjiao Coconut Plantation lies in its tropical coconut culture. How to get there: With Dongjiao’s close proximity to Wenchang, the area is a convenient day trip’s distance from Haikou. Buses to Wenchang are available from Haikou’s long distance bus station with five departures daily from 10am to 4pm.